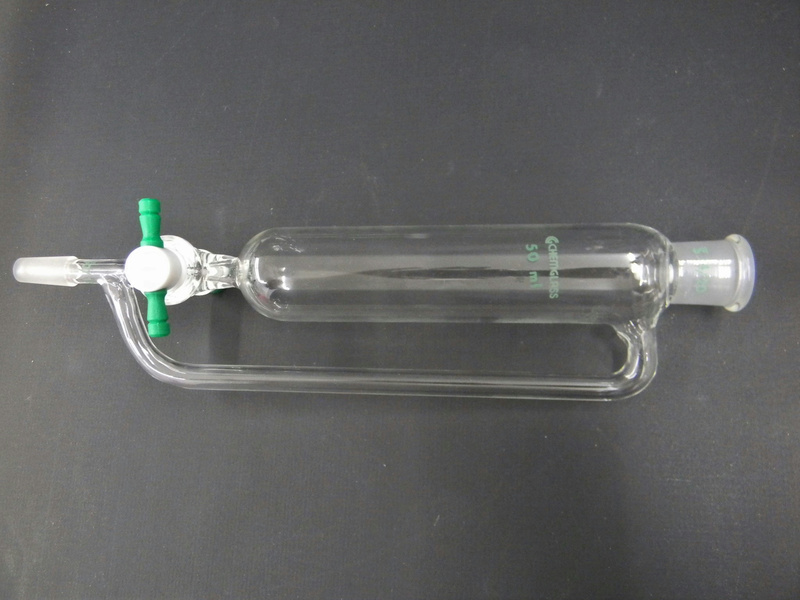 Chemglass 50 ml Cylindrical Equalizing Addition Funnel PTFE Stopcock CG-1702 . New Life Scientific, Inc. This is a new funnel that was removed from its original packaging. This glassware was originally acquired from a US pharmaceuticals lab along with a Mettler Toledo MultiMax System. There are not visible cracks or chips to the glassware that would hinder its efficacy. If you are in need of laboratory glassware, please see a selection of Pyrex, ACE, Chemglass, Buchi and other brands in the New Life Scientific webstore!